LOTS BEGIN CLOSING FRIDAY, NOVEMBER 9th AT 10:00 A.M. This is a Timed, Online Only Auction Event! Click the above tab for catalog, terms and registration!! PICKUP DATE: Tuesday, November 13th from 3:00 P.M. – 6:00 PM. All items must be picked during the designated pickup time, NO EXCEPTIONS! Auctioneer’s Note: Fraise Auction & Real Estate is pleased to have represented Dawn & Tony Cross in the sale of their home, they are moving out of state and will be selling virtually everything. 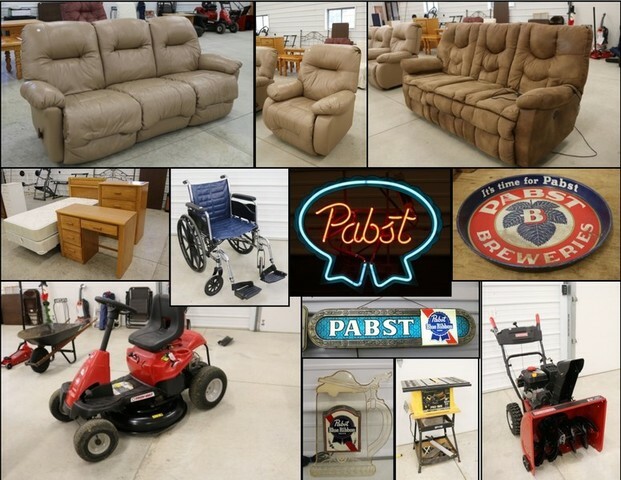 This will be an exceptionally nice & clean auction with newer modern furniture, exercise equipment, nice selection of antiques as well as like new snowblower, name brand push & riding lawn mowers and hand tools. Also included in this auction is a near new INVACARE hospital bed and wheel chair, plus a large Pabst Blue Ribbon Beer collection from a local estate. Over 300 lots in total, see the catalog for a complete listing and 100’s of photographs!